Family demography is a subfield of demography and refers to the study of the changing nature of intergenerational and gender ties that bind individuals into households and family units and the variation of these relationships among subpopulations. 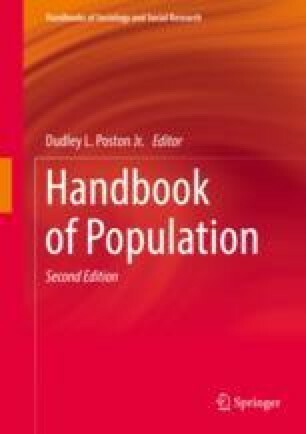 In this chapter I first discuss the traditional definitions, methods, and measures used by family demographers to document trends and to assess family and household change. I then provide a descriptive overview of how households, families and living arrangements have changed over time. I next discuss how recent developments in family behavior have necessitated an expansion of techniques and data requiring a new approach to the study of family demography, specifically, the social demography of the family. Finally, I examine new areas of the social demography of the family that have emerged in the past several decades, including emerging young adulthood and union formation and dissolution; aging and living arrangements of the elderly; parenting; and the changing gender division of labor in two-parent families.